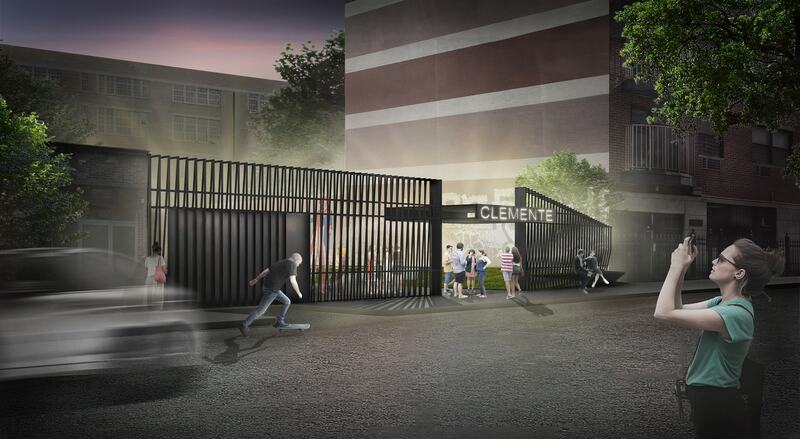 Clemente Center, a non-profit organization occupies an old Public School, houses artist's studios and performance spaces. 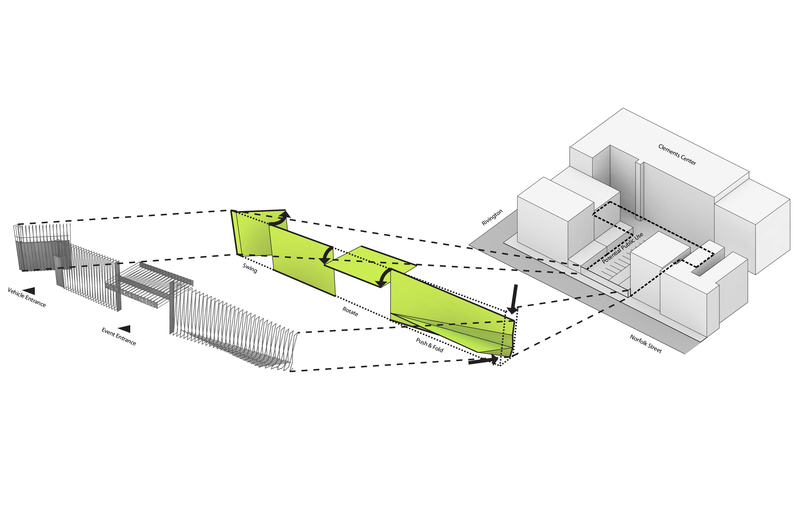 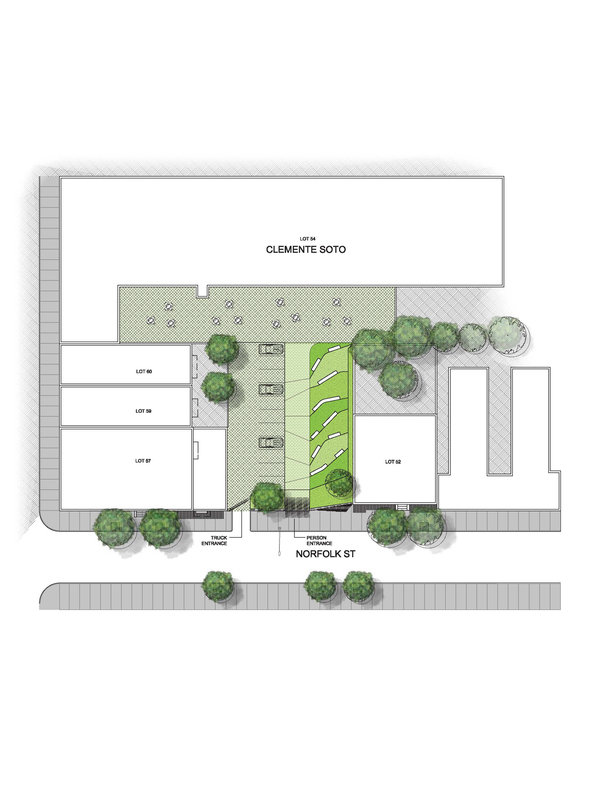 The proposal turns the back lot accessible from Norfolk, the Center into a public space and turns the existing fence into a gate and a spatial public activator. 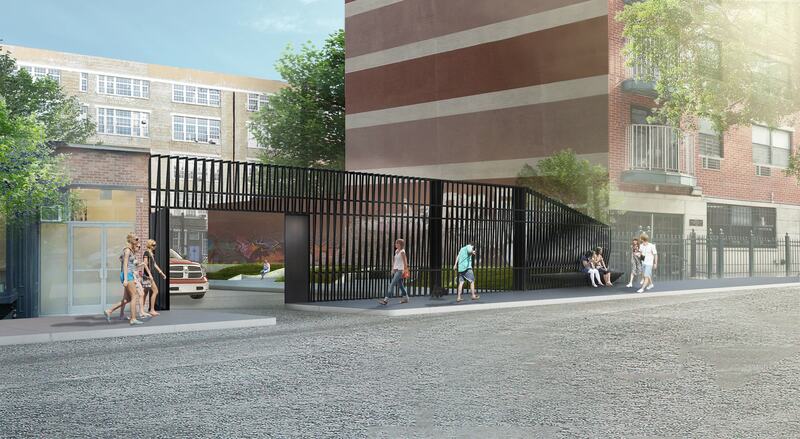 The fence swings, rotates, and folds to provide gate for cars, an entrance canopy for the lot and a public bench.